Sometimes viewed as less talkative “versions” of the popular Amazons, the Red-Vented Parrots (Pionus spp.) have until recently been overlooked by aviculturists. Many are now coming to realize that this is a mistake, as these wonderful birds have much to recommend them – at a fraction of the price of “flashier” species! With their stocky builds and squared-off tails, the 8 species of Pionus Parrots do bring to mind the Amazon Parrots (Amazonas spp.). Rather than bright colors, Pionus plumage shows a more subtle beauty, with a variety of hues blending into one another in a way that is quite unique. All sport bare eye patches and red feathers about the vent, but the various species are otherwise completely different from one another in coloration. Pionus reach only 10-12 inches in length – this, along with soft voices and calm personalities, renders them more suited to life in a large cage than are their more boisterous cousins. While their speaking abilities may not match those of most Amazons, some have acquired impressive vocabularies. The 3 species covered below are those most readily available in the USA. Pionus Parrots are rather quiet and calm, and usually make affectionate, trusting pets. They do, however, become stressed easily, and in this condition commonly fall victim to Aspergillosus and similar infections. They do not travel well, and begin breathing heavily almost as soon as any disturbance occurs. Individuals kept in cramped cages usually become lethargic and obese. When given enough space, however, they are as curious and entertaining as any parrot. Even mated pairs often get along well with other Pionus, unrelated parrots, finches and softbills. Mauve-bordered feathers lend this green and blue parrot a very distinct appearance. Ranging from Costa Rica and Trinidad to Bolivia and Brazil, these are birds of forest edges. This preference has apparently allowed them to adapt to logged woodlands and plantations, and their numbers appear stable at this time. I worked for a bird importer in the early 70’s, when this species first made its appearance in the US pet trade, and have followed their captive history since. They are only now gaining in popularity, and are still reasonably priced. 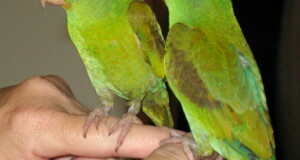 Another uniquely-plumed species, Maximilian’s Pionus is olive green with a blue-black cast to the head and throat. It ranges from eastern Brazil to northern Argentina, and seems to adjust well to habitat disturbance. Inexpensive and usually affectionate, this parrot’s habit of dropping its head onto the chest when sleeping has given more than one owner quite a shock! The Bronze Wing, while not “colorful” in typical parrot fashion, has a subtle beauty. 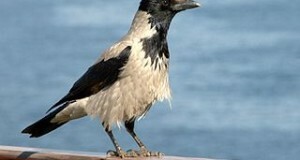 Its brownish to blue-black plumage is trimmed with pink along the forehead, and set off by a white throat patch, pink eye ring and indigo-edged flight feathers. They have the reputation of being high strung, but become quite friendly in gentle hands. Bronze-Winged Parrots are limited in range to mountain forests in a narrow range running through northwestern Venezuela, western Columbia, Ecuador and northwestern Peru. An interesting report on Bronze-Winged Parrots in the wildis posted by the Pionus Parrots Research Foundation. 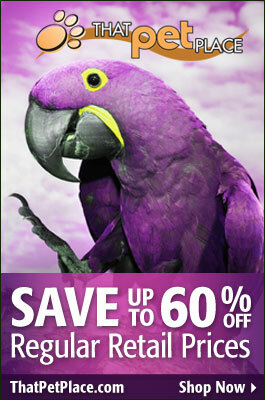 An amusing video of a Blue Headed and Bronze Winged Pionus playing may be viewed here.